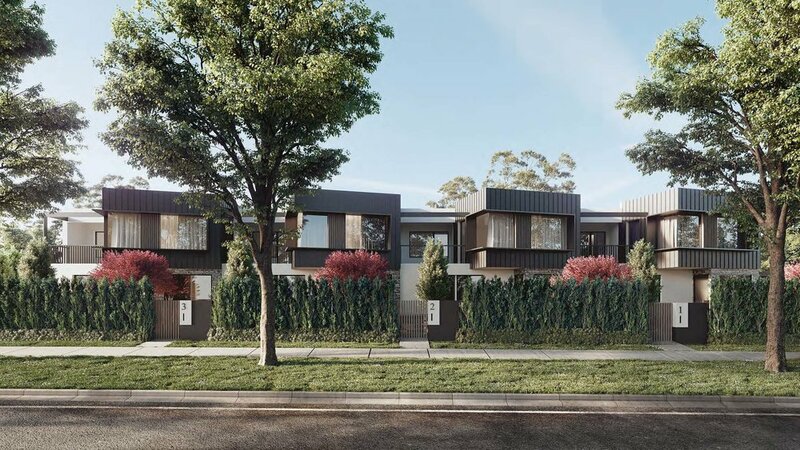 A concept design for seven townhouses located on an elevated site in Denman Prospect. The design responds to distant views across the Molonglo Valley and central Canberra. The homes with direct street frontage have been articulated to provide high amount of street activation via balconies and large picture windows. The upper level living area is expressed by extending and rotating the layout towards the Central Canberra view.